"Sarvatva Namah. Success flows from my being." 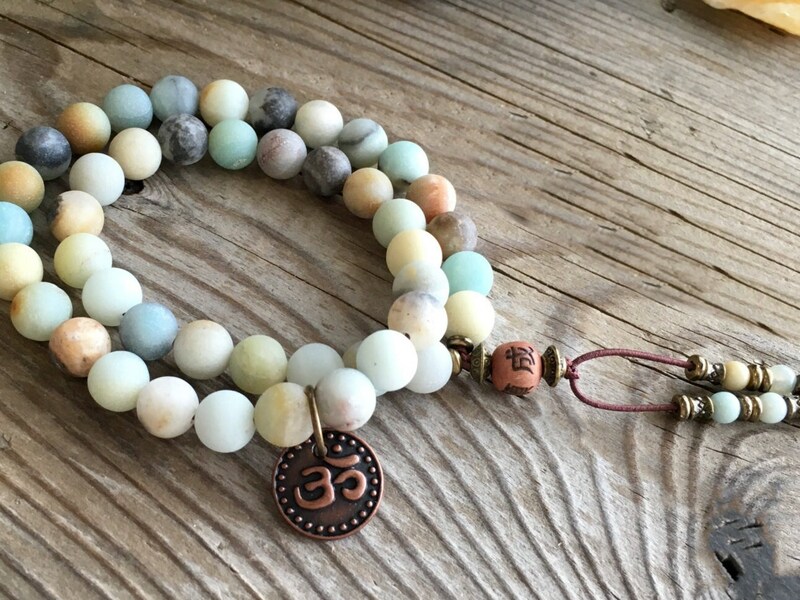 The Abundance Double Mala Bracelet features frosted pastel AA grade Amazonite gemstones with a cedarwood ancient prayer bead and an antique copper Om charm to infuse confidence, improve communication and attract abundance of all kinds. It gently wraps around the wrist twice for a bolder look, offering twice the healing vibrations. 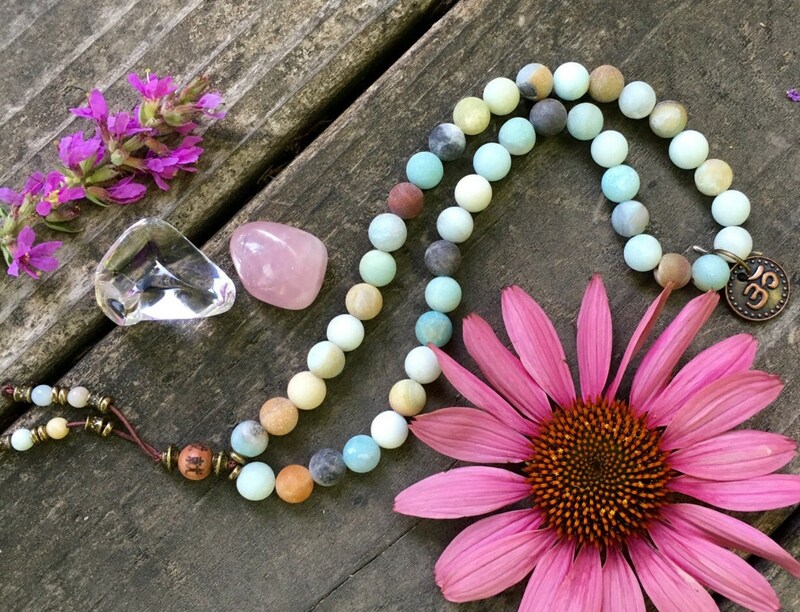 8mm high quality gemstones, strung on strong elastic stretch cord. One size fit most wrists. I bought this as a gift and it was received with such love. Thank you!